I am going to share my never fail, fuss free, gadget free, fruitcake. I adapted this recipe from somewhere. If I remember correctly, it is an Australian grandma’s recipe which appeared in the Australian version of Women’s Weekly. Put all the above into a pot and cook over low fire till sugar and butter melt. Leave to cool. Mix well. (see? no need beating or anything like that) Bake in 180 deg C oven for 1 hour. Test with a satay stick. If it comes out clean, then cake is baked. 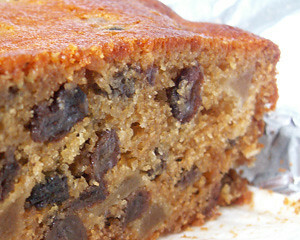 Remove from oven and drizzle with 3 tablespoon of brandy while the cake is still hot. Cake tastes best if left for a day or two, wrapped with aluminium foil. Do not attempt to cut the cake while it is still fresh because it will crumble. Wrapping it in aluminium foil and soak in brandy will make the cake moist and smells heavenly. In place of brandy, one can use orange juice. However, the cake will not keep well.